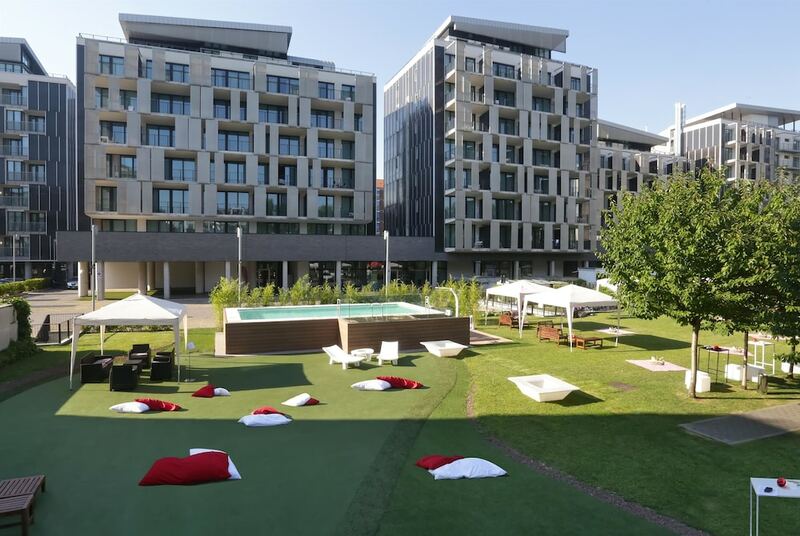 Located in Milan (Turro), Ramada Plaza Milano is within a 10-minute drive of Piazzale Loreto and Corso Buenos Aires. This 4-star hotel is 3.7 mi (6 km) from San Raffaele Hospital and 4.6 mi (7.4 km) from Teatro alla Scala. Make yourself at home in one of the 256 air-conditioned rooms featuring flat-screen televisions. Rooms have private balconies. Complimentary wired and wireless Internet access keeps you connected, and satellite programming provides entertainment. Private bathrooms have complimentary toiletries and bidets. Be sure to enjoy recreational amenities including an outdoor pool and a fitness center. Additional amenities at this hotel include complimentary wireless Internet access, concierge services, and a ballroom. Getting to nearby attractions is a breeze with the complimentary area shuttle. Grab a bite at Decanter, one of the hotel's 2 restaurants, or stay in and take advantage of the room service (during limited hours). Wrap up your day with a drink at the bar/lounge. Buffet breakfasts are served on weekdays from 7:00 AM to 10:00 AM and on weekends from 7:00 AM to 10:30 AM for a fee. Featured amenities include a business center, complimentary newspapers in the lobby, and a 24-hour front desk. A roundtrip airport shuttle is provided for a surcharge (available 24 hours), and self parking (subject to charges) is available onsite.